Enterprise Sales Forum is group that bring sales professionals together as a global community. With chapters all around the world, ESF hosts monthly sales talks that provide networking and learning opportunities for members in the industry of B2B sales. Enterprise Sales Forum reached out to DC Dev Shop with the need for a brand new website, as well as hosting and maintenance services. ESF knew it was important for them to have an online community for their members that would compliment their already extensive international group. They needed individual pages for each chapter that would feature the chapter’s organizers, as well as highlights for upcoming sales talks and events at that location. 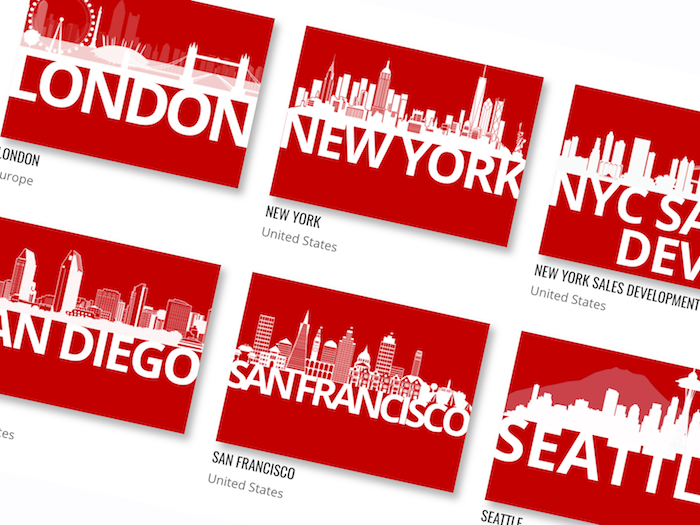 Above all else, ESF wanted their website to showcase that they are a global network and community, with chapters everywhere from the United States, the United Kingdom, Singapore, and beyond. When it came to the services required, DC Dev Shop had a hand in everything from branding, to design, to development. ESF already had a logo that they were very happy with and they wanted a website that would compliment their logo and organization. DCDS changed their branding colors to red, white, and dark grey, which is visible on the present website. These colors were selected with the goal of giving Enterprise Sales Forum’s website and logo a professional and classy feel. DCDS and ESF also had an in-depth design process involving the typography used on the website and in future printed advertisements. In addition, in order to allow chapter events to automatically update to the website, a custom Eventbrite API was created to display the event based on date and chapter location. 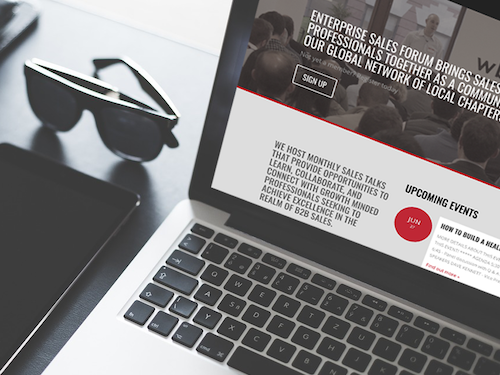 The new website highlights Enterprise Sales Forum’s defined branding, brings together numerous chapter communities from around the world, and serves as a hub for their events and member forums. With a lead generating website, ESF has increased their membership subscriptions, and turnout for events is higher than it has ever been. Our SEO efforts have helped generate an increase in organic search traffic to the website but our content strategy also played a role. We sat down with the ESF team and trained the owner and team members on how to navigate their new website. 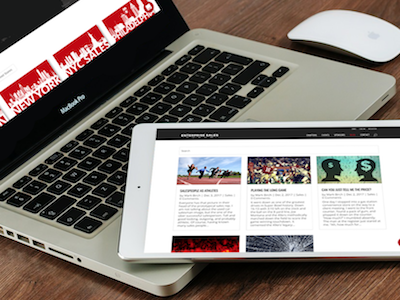 With an easy to manage WordPress website, the ESF team felt confident managing content edits and creating new blog posts and chapter pages. Given the quick turnaround needed for this project we accelerated our process to build the site on time for a major Enterprise Sales Forum milestone. We invite you to visit the Enterprise Sales Forum website here.